This is the first idea for a layout. 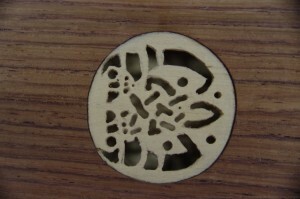 Sound box is basswood (hard, but easier to carve than maple, the wood used in Sutton Hoo). 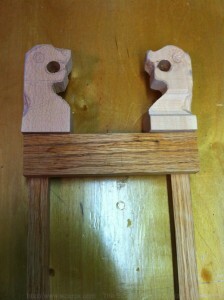 The two upright stanchions are white oak. 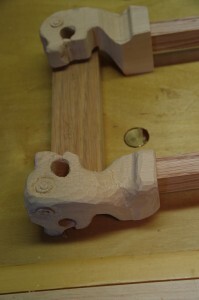 The cross-piece is white oak. 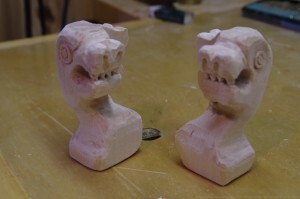 And the dragon heads are basswood, inspired by the Oseburg ship. 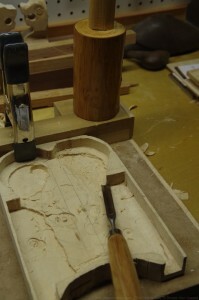 I carved them with a Morakniv, simply the best carving knife I have ever used. 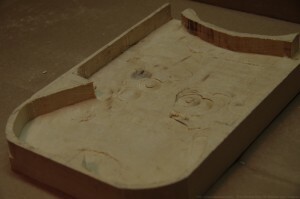 The next step was to router out the sound box. 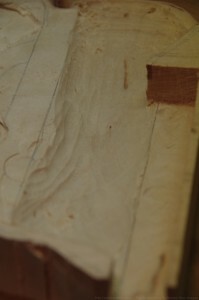 I set my router’s depth to leave 1/8th of an inch for the bottom, planning later to carve down to 1/16th. I left two posts to hold the bases of the stanchions. 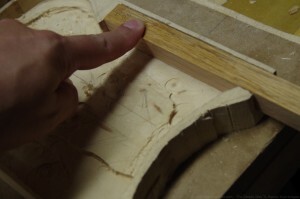 After routing, I used a gouge to bring the bottom to level. 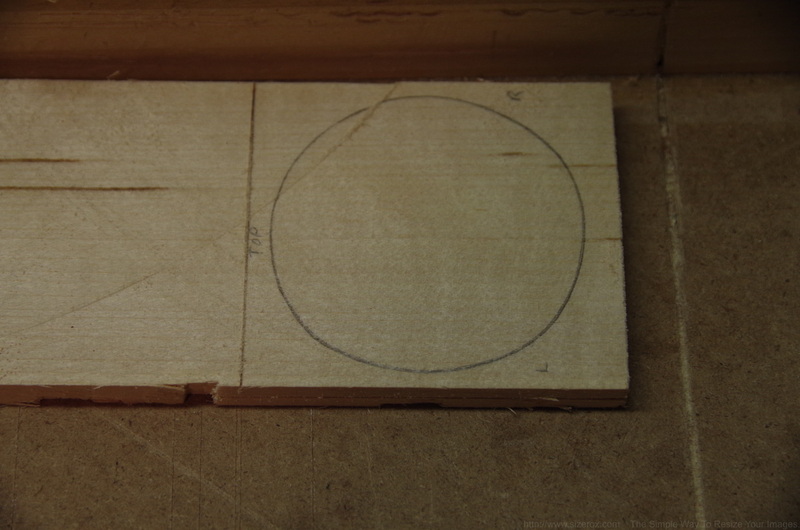 Two considerations: first, the pressure on the box is down its central axis. 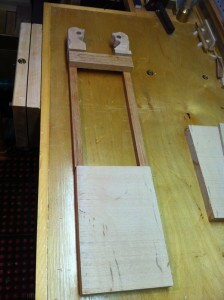 So, rather than put in a truss rod or brace, I left the central axis 1/8th inch thick. Second, the sound has to vibrate along the bottom, so the two sides of the central axis were carved down to 1/16th. The result left two valleys on either side of the central axis. I splayed out the base of each valley and the result was the shape of a tree. Yggdrasil, probably. Word on the web is that when thinning panels for a sound box, what matters is not thickness so much as density. So the old way to check was to hold the bottom up to a light source and look for the “fire.” A violin maker told me that this stage is called “candellighting.” Here’s the base held up to a light. 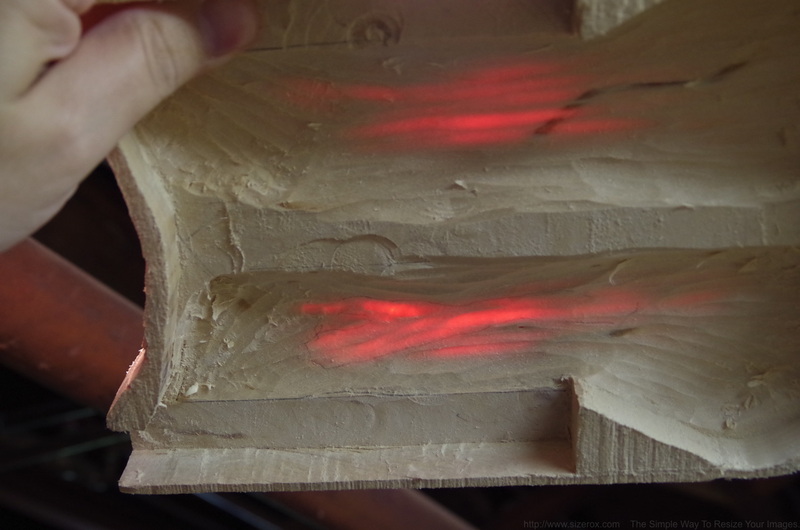 The fire-red bits are 1/16th thick. And here’s the new layout. 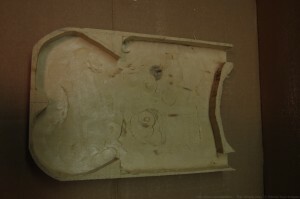 Note the tree-shaped interior and the rather suggestive curve of the base, which I hope will give great bottom to the sound. Seriously, I wanted the sound to bounce around in there, echoing and re-echoing. The next stage was the sound hole. It’s an option, but not necessary. 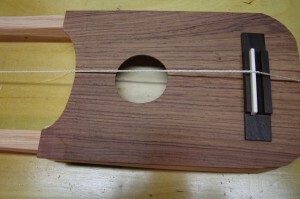 I decided on a hole one-third of the width of the lyre, based on a guitar by Juan Cayuela, a brilliant luthier from whose descendant I bought my classical guitar. 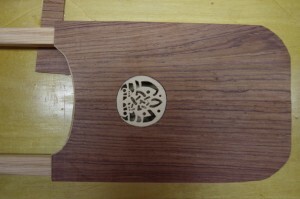 The top is a piece of rosewood, 4″ wide and 1/8th inch thick. I glued two pieces together to make a single 8″ top. Then, I routered 1/16th from the center of the board. 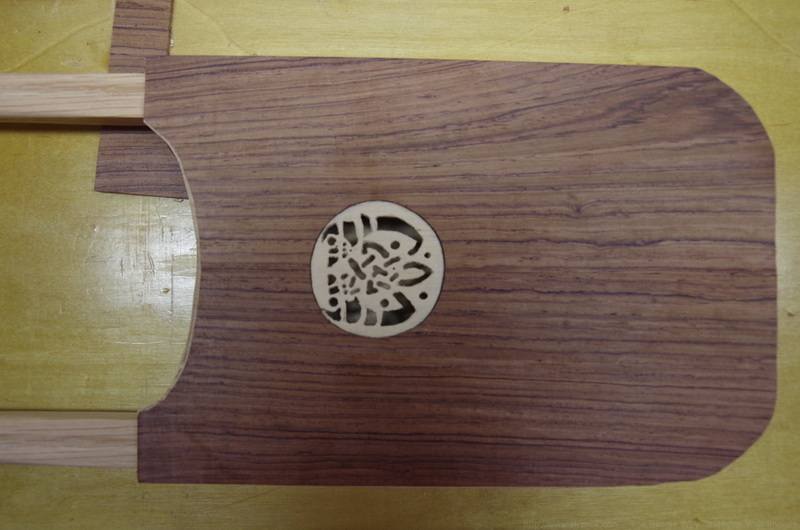 The result was like a dinner plate, leaving a border 1/8th inch and a valley 1/16th. 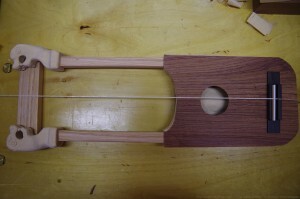 The bridge is a ukelele bridge from Stewart-McDonald. They also have excellent supplies of mother-of-pearl. 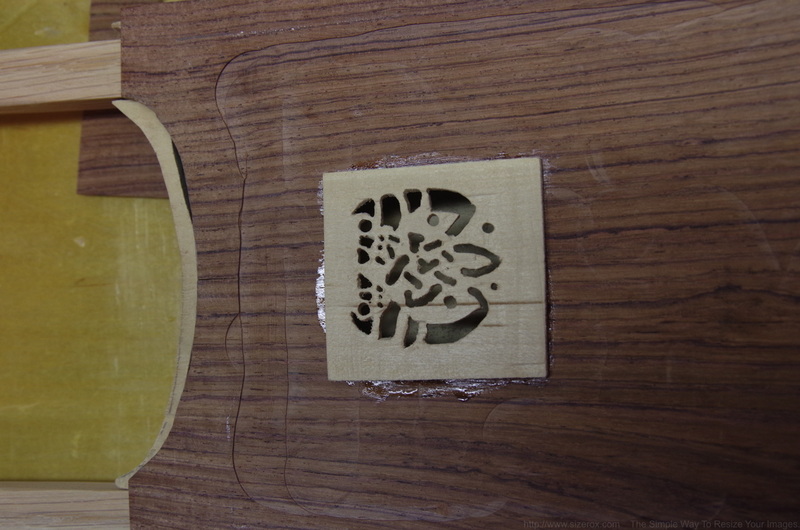 The sound hole looked a little bare, so I took an idea from a renaissance lute and carved an inset. Using a design from the Book of Kells, I started by tracing the sound hole on a piece of basswood. 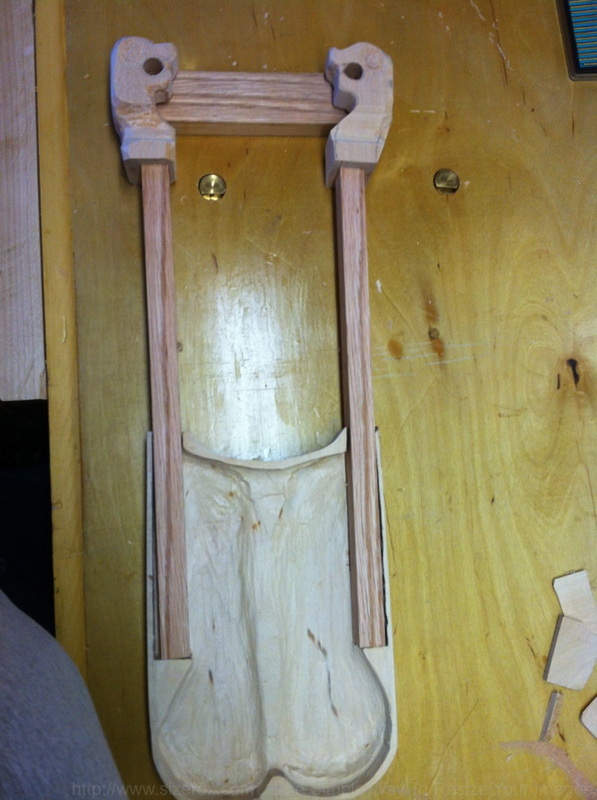 I ripped the basswood down the middle, leaving two 1/16th slabs. Still waiting on the tuning machines and the gutstrings. I’ve also got mother-of-peral to set in. The dragon heads will be gilded and have garnet set into their eyes. More to come.